The image above is a combination of two stacks of images, one registered on the stars, the other on the comet. 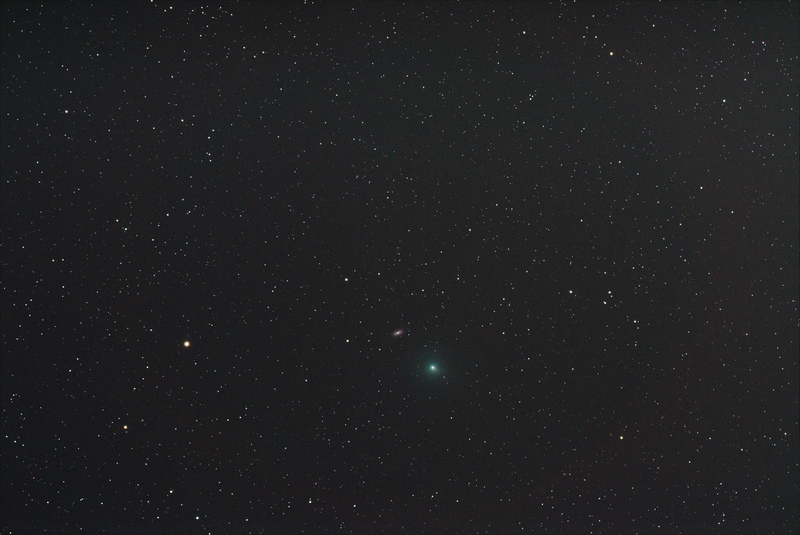 The comet was heading straight for the galaxy, but images taken later with a longer focal length had guiding issues. 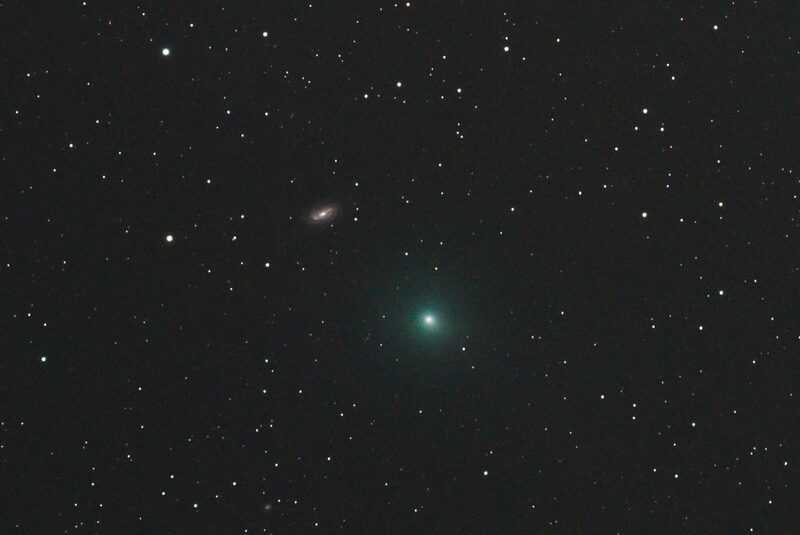 Comet C/2018 Y1 Iwamoto and galaxy NGC2903 in the constellation Leo. Takahashi FS-60CB, Tak Multi-Flattener, Nikon D750, 33x15s, ISO1600. This entry was posted in astrophotography, comets, deepsky.